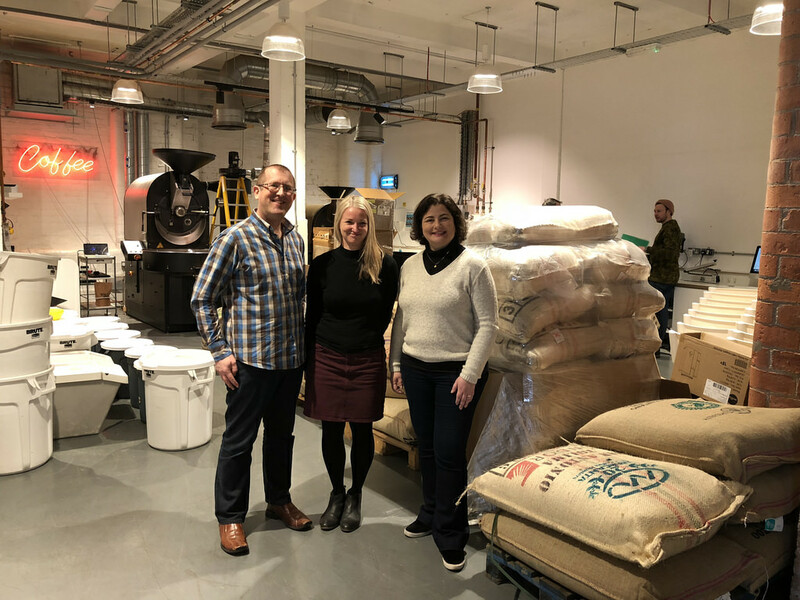 Last month while visiting Glasgow, Maria and I had the opportunity to visit Dear Green, an inspirational coffee roastery situated in the heart of Glasgow. The founder of Dear Green is Lisa Lawson, and we had an extremely interesting discussion with her about their philosophy of coffee, how and why the company was created, Lisa’s story of her many years of experience and training, including working in Australia, and also the way in which Dear Green have developed a business model which fully supports the coffee growers, their families and communities. 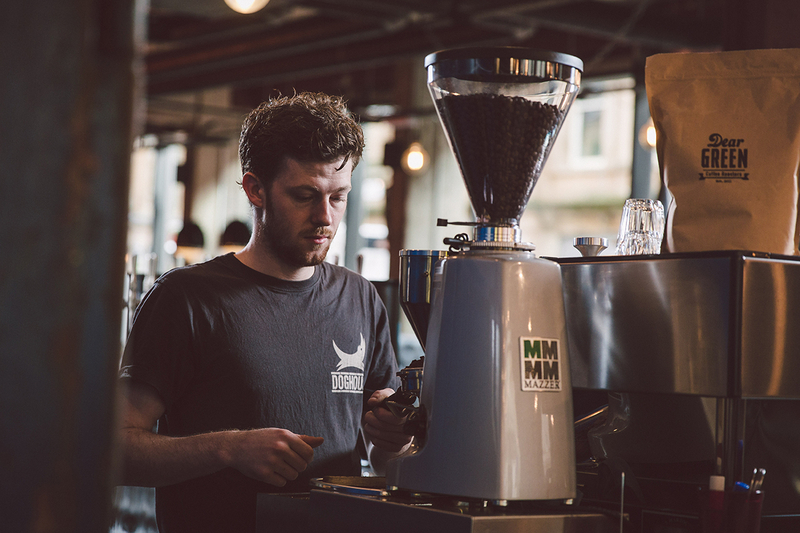 The company was founded in 2011 with the goal of improving the quality of coffee available in Glasgow, and from the start, Lisa’s goal was to create an ethical coffee company with clear and consistent values. As a roastery, Dear Green source raw green coffee predominantly from Africa and Central and South America. 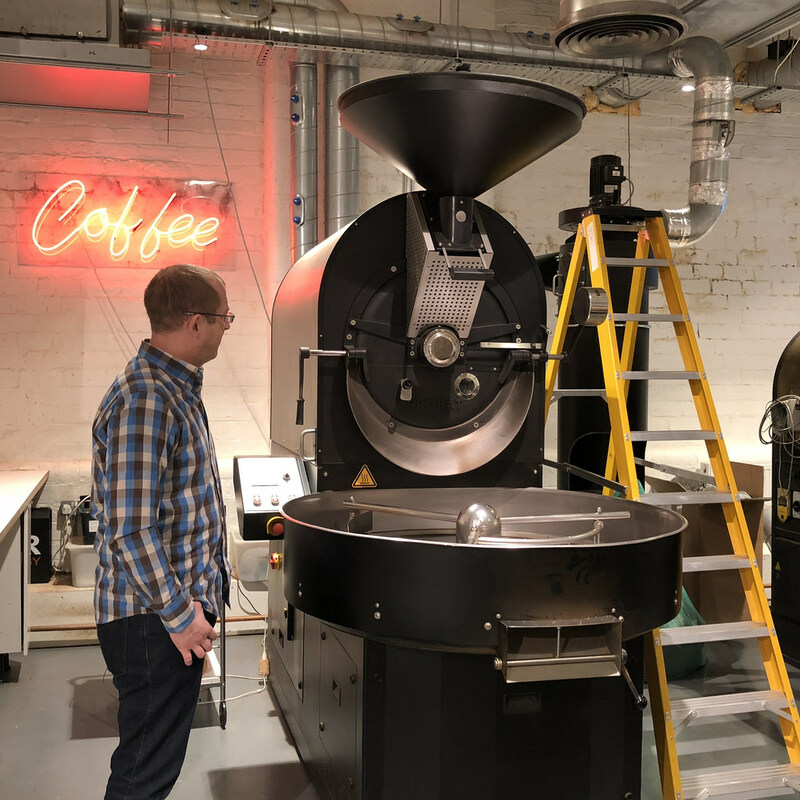 As Lisa says in the interview, “everything is driven around the coffee which we can source, and everything else around that has to match that level of commitment. So whether it be the living wage or carbon-neutral, so it is also about landfill”. 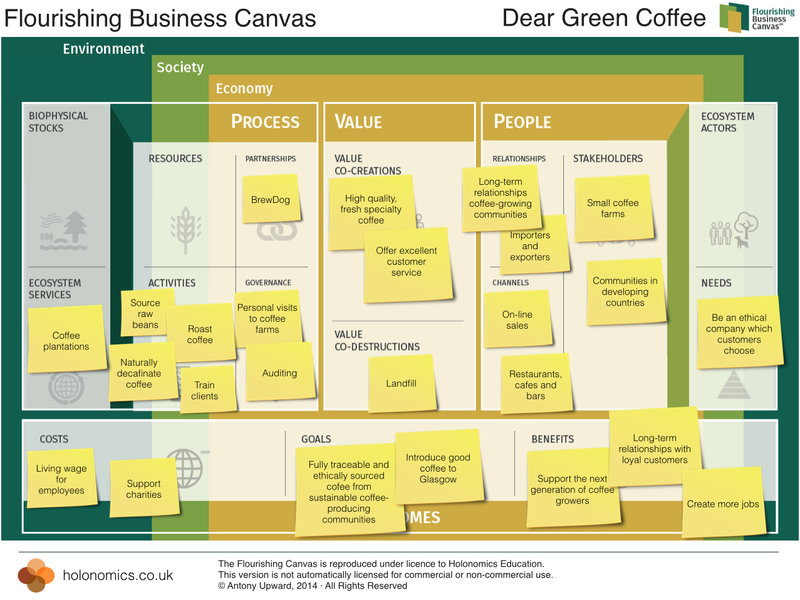 Dear Green’s customers and clients are therefore able to directly support the coffee-growing communities by not purchasing cheap and mass-market coffee. 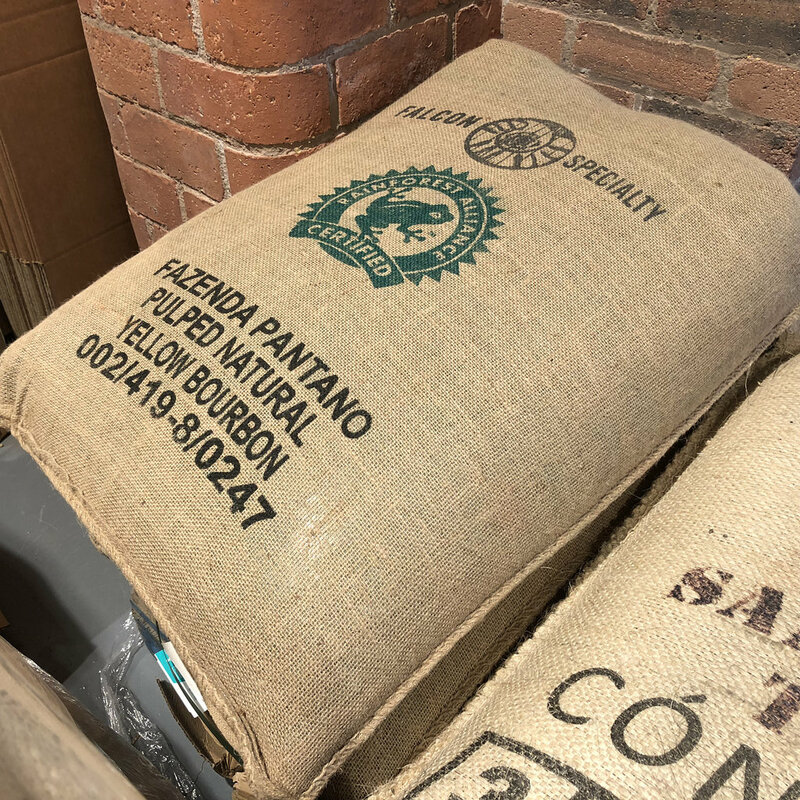 Since the coffee comes from mainly developing countries, their goal is to always give back to the communities, thus creating an authentic and long-term sustainable supply chain. In our book Customer Experiences with Soul, Maria and I define sustainability as “the quality of our relationships”. By developing long-term relationships with customers who really resonate with their values and ethics, and also by carefully choosing coffee-farms, importers and collectives which also share the same values, Dear Green have been able to grow organically and in a sustainable manner, therefore being able to create a business which is able to support the next generation of coffee-growers and the communities in which they are based. This level of sustainability has been achieved through always offering the highest quality of coffee and also by focusing on ensuring that Dear Green offer an excellent level of customer service. One result of this focus on customer service, including the training of clients, was the development of a partnership with the Scottish brewery BrewDog, who explain why they chose Dear Green in this article: Dear Green and the BrewDog Blend.